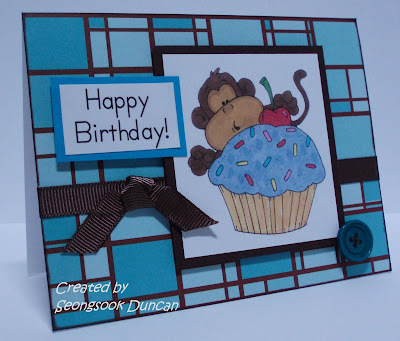 I made this card for OWH S&S Color Challenge: Browns and Blues. 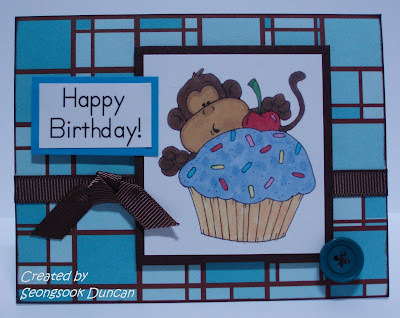 It is based on Stamping 411: Saturday Sketch Challenge 145 as below. 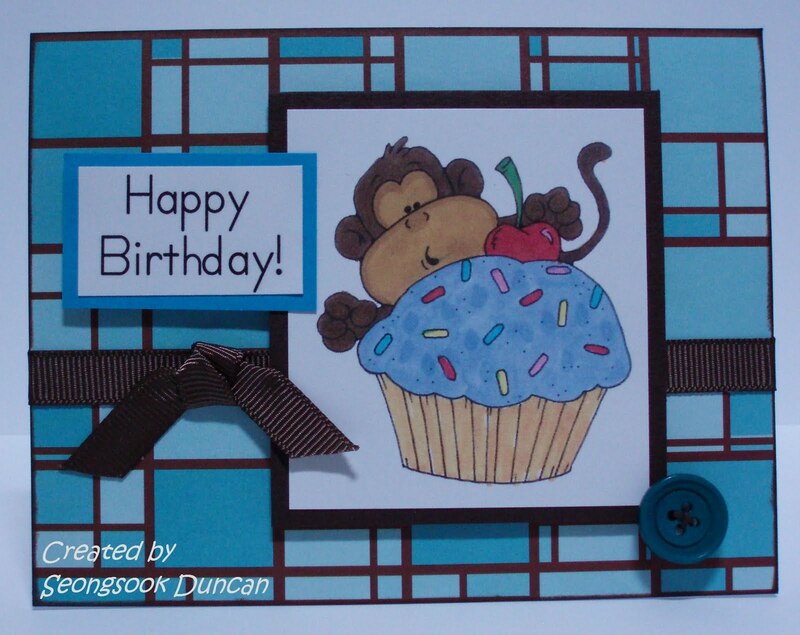 I used the Cupcake Monkey image from Dustin Pike. 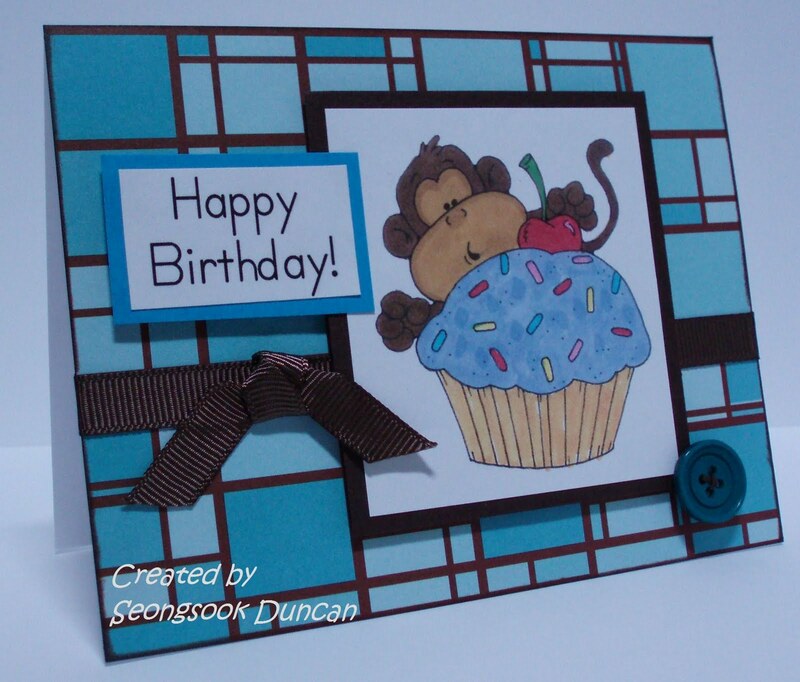 The sentiment is from Pink Cat Studio. I made paper strip thread to tie the button. To match the color with colorstcok, I made two paper strip thread from the same cardstock. Cut a stash of cardstock into thin strips and tie the knots at the back of the button. Oh, what a great card. I love that monkey. TFS. Oh my goodness, what a totally adorable card!!!!! So fabulously fun!!!! This is so adorable! What a great image!! I love the DP you used and the added button! !